In my time and in my various positions with The Latchkey, my amazement with the publication process has not diminished, nor my admiration for our editorial and production team’s commitment to our journal. Although events across the globe this year have shocked and horrified, and perhaps led us to doubt the good in human nature, they also call on us to draw hope from the sustaining force any act of collaboration demonstrates. Our little troop here at The Latchkey continues to strive with its own concerted effort. Volume X’s allied articles, reviews, and short features offer a restful retreat into the scholarly realm. At the same time, in their subject matter and discussions, they illustrate and portray successful efforts to confront and to change social conditions that marginalize, disenfranchise, and ostracize. Our two featured essays highlight the female voice and independent creativity, and the challenges to convention – social, cultural, and aesthetic – women’s imaginative freedom may wield. Jessica Gray reminds us that in the late-Victorian and Edwardian periods many women found economic independence in office jobs including typewriting and telegraph clerking. Consequently, as she discusses, the business girl who performed this rather “automatic” work became a popular literary figure. Gray labels the office or business girl an “atypical New Woman,” and asserts the figure demands we review the New Woman’s ambitions and rebellions within the frame of a quotidian work experience. A woman’s distracted daydreaming allows an escape from drudgery without jeopardizing her financial security. Setting her analysis within the period’s medical and psychological discourse, and articles in periodicals such as The Typist’s Gazette, Gray makes a thoughtfully entertaining analysis. Since 2014, when she stepped into the position of Book Reviews Editor, Kirsty Bunting unfailingly ensured our issue’s Book Reviews section delivered informed evaluations of innovative studies on the New Woman and fin-de-siècle culture. This year we bid adieu to Kirsty who has moved on in her professional path, and welcome Annachiara Cozzi, our new Book Reviews Editor, to The Latchkey’s editorial fold. Anna is completing her doctoral work at the University of Pavia, and her research deals with literary collaboration in the late Victorian period when literary partnerships became a particularly fashionable practice. In her short time with the journal, Anna has met her duties with enthusiasm and verve, and readers will be gratified with the reviews of three new publications. Emelyne Godfrey reviews Death in Ten Minutes. Arsonist. Suffragette by Fern Riddell, an illuminating work that recovers the life of the unjustly forgotten suffragette Kitty Marion, exploring the perspective of a resilient and daring woman who became an anti-war campaigner and a representative of the birth control movement. Mariam Zarif offers us a comprehensive review of Self-Harm in New Woman Writing by Alexandra Gray. The book traces the recurrent trope of self-harm in writings by six women writers who were progressive thinkers: Mona Caird, Victoria Cross, Sarah Grand, George Egerton, Mary Angela Dickens, and Amy Levy. Focusing on acts like self-starvation, excessive drinking, and self-mutilation in fiction, each chapter reinstates the narrative of female resistance to Victorian patriarchy. Lena Wånggren explores Jade Munslow Ong’s Olive Schreiner and African Modernism: Allegory, Empire and Postcolonial Writing.This provocative study delves into the many sides of Schreiner’s authorship, particularly the literary and political novelty of her writing. Interestingly, Munslow Ong locates Schreiner – a late-nineteenth century white South African woman – as a modernist author whose aesthetics prefigure those of twentieth-century European modernist movements. We very much appreciate all our contributors’ patience. 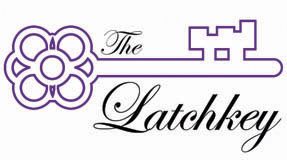 And, as always, we extend our special thanks to our astute (and gracious) webmaster and publisher Steven Halliwell and The Rivendale Press who make The Latchkey possible every year. The Latchkey continues to solicit essays, book reviews, and brief biographical sketches of New Women writers and cultural figures throughout the year. We particularly encourage Early Career Researchers and Postgraduates to contribute their work to the journal. We are also happy to announce your conferences, calls for papers, and publications of interest free of charge. Contact us at unbolt@gmail.com if you are interested in sending in an item for any of our sections. Please browse our website and consult our submission guidelines which stipulate Modern Language Association 8th edition style and U.S./American spellings and punctuation. Fern Riddell, Death in Ten Minutes. Kitty Marion: Activist. Arsonist. Suffragette. Hodder & Stoughton, 2018. Reviewed by Emelyne Godfrey. Jade Munslow Ong, Olive Schreiner and African Modernism: Allegory, Empire and Postcolonial Writing. Routledge, 2018. Reviewed by Lena Wånggren. Alexandra Gray, Self-Harm in New Woman Writing. Edinburgh UP, 2018. Reviewed by Mariam Zarif.